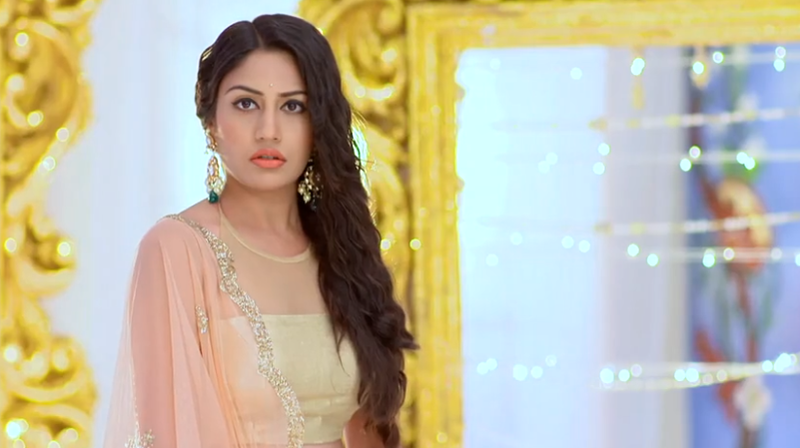 Shivay has ill-treated Anika as seen in the last episode if Ishqbaaz. The viewers disliked to see such a side of Shivay. The story ahead continues with the marriage track. Anika cries recalling Shivay’s bitter words. Shivay forces Anika to get ready soon. Anika refuses to get ready. Shivay threatens her to come fast. Anika worriedly gets ready. Omkara comes to question Shivay about his anger. Shivay lies to him that Tia is getting ready. 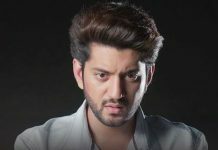 Omkara finds him desperate for marriage. He asks Shivay to come soon, as guests are waiting for the groom and bride. Shivay makes excuses and sends Omkara. Shivay hurries up and builds more pressure on Anika. Anika gets ready in the bridal wear. Anika does not give up and runs from the window to avoid marrying Shivay by bearing so much humiliation by him. Shivay checks for Anika and understands she has run away. He gets more raging on her mistake. Shivay is angry over the slap and Anika’s insulting words. Shivay gets ready as the groom and joins his family in the celebrations. Shivay finds his family too happy. Dadi asks Shivay why did he get so late, as if he does not wish to marry. Shivay tells Dadi that Tia was not ready and he was waiting for Tia. Dadi asks about Tia. Shivay lies again. Pinky and Dadi ask about Anika. Shivay tells them that Tia and Anika went to get dress altered by the designer. Rudra asks Shivay to dance with them. Shivay dances with his family and feels too emotional. He feels his family will get big shock by the bad reputation following by bride’s run away incident. Shivay sends his men to get Anika back. He would have rather sent his men to catch Tia. Shivay leaves from the marriage venue to find Anika. Shivay reaches Anika and catches her back. He asks her not to force him to show more of his colors. He threatens her about Sahil, knowing Sahil is her only weakness. Shivay treats her badly and turns selfish to think only for his family. Anika tells him that she will never forgive him for this. Shivay does not let Anika meet Sahil. She begs him not to involve Sahil in this matter. Shivay asks her not to force him to fall more low. Shivay scares her by showing a car blasting and mocks Sahil’s death. Anika breaks down and runs to the firing car, while Shivay pulls her back. Anika beats him for killing Sahil. Shivay tells her that Sahil is fine and shows the live camera feeds. He asks her to head to mandap with him if she wants Sahil to be safe. Shivay has hurt Anika a lot and made her helpless. The much-anticipated marriage will be seen in next episode. Keep reading. Next articleShivika’s wedding moments to watch out tonight in Ishqbaaz….